Hyde Park, NY – To the winners go the spoils. Chormaic Sullivan of Columbia, MO won the 2014 SkillsUSA championship in Culinary Arts in the high school division and Maria Buko of Saginaw, MI was the winner in the Commercial Baking category. Both gold medalists will soon be enrolling at The Culinary Institute of America in Hyde Park, NY on full scholarships. Sullivan begins his studies on September 9 and Buko’s first day of classes is October 21. 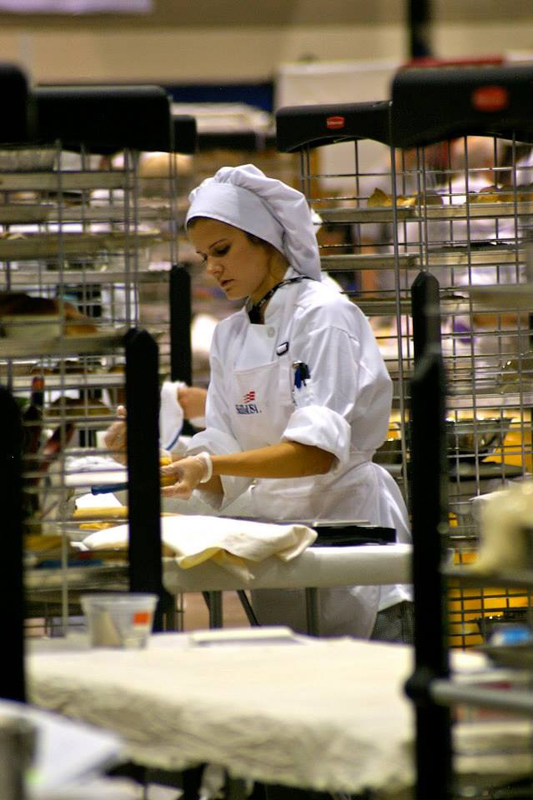 The nationwide SkillsUSA competitions in 99 fields were held in Kansas City, MO earlier this summer. In culinary arts, competitors prepared both hot and cold food through the production of a four-course menu. Commercial baking required students to master a written exam as well as hands-on cake decorating and the production of breads, rolls, Danish, cookies, and pies. Buko finished fourth last year before earning the gold in 2014. “The honor of being recognized as the best in the nation at what I love is something I can only begin to describe,” said Sullivan, who is originally from Portland, OR. Both students call the CIA their dream college. “I’m super-excited to come to the CIA. I looked at other schools and kept coming back to the CIA as the only choice,” Buko said. 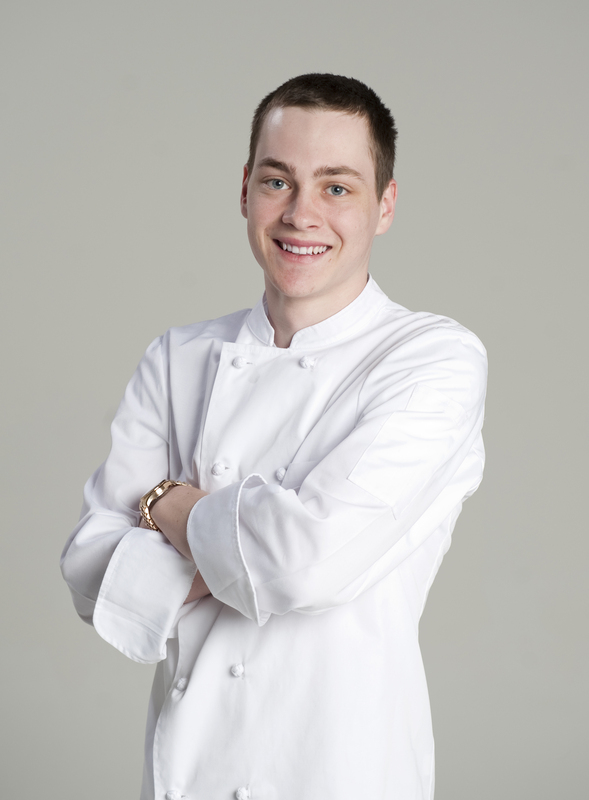 “The CIA has been the place I wished to attend since I started looking into culinary schools. It’s going to help me reach my goals in life and I wouldn’t want to go anywhere else,” concurred Sullivan. The bronze medal winner in high school commercial baking is another soon-to-be CIA student. David Howe of Lexington, MA enrolls on September 29. A current CIA student also came up big in Kansas City. Leonela Montas, a junior from Bronx, NY, won the Restaurant Service competition in the post-secondary division. It was the first time a CIA student competed in this category, which focuses on both technical service skills and guest relations, including table setup, greeting, reservations procedures, describing food and drink items, taking orders, serving and clearing multiple courses, and more. SkillsUSA helps students discover and grow their career passions. As a nationwide partnership of students, instructors, and industry working together, SkillsUSA works to ensure America has a skilled workforce. It helps every student excel. The nationwide career and technical education (CTE) student organization serves more than 300,000 high school, college, and postsecondary students—and their instructors—in technical, skilled, and service occupation instructional programs. CTE is learning that works for America. SkillsUSA has the active support of more than 600 corporations, trade associations, business and labor unions at the national level. Over 11.6 million people have been annual members of SkillsUSA since its founding as The Vocational Industrial Clubs of America in 1965. SkillsUSA programs teach leadership, citizenship, and character development to complement technical skill training. The organization emphasizes respect for the dignity of work, ethics, workmanship, scholarship, and safety.